I don’t know about you but come September, I can’t get to the apple orchard fast enough. The Honeycrisp apples picked right off the tree are my favorite of all apples. They are syrupy sweet, crisp and delicious. Nothing spells fall like pumpkins and apples. I make lots of desserts involving apples and I don’t plan to stop anytime soon. My kids devour Honeycrisp apples and my apple crisp and my warm apple bake are big hits in the Randall household. 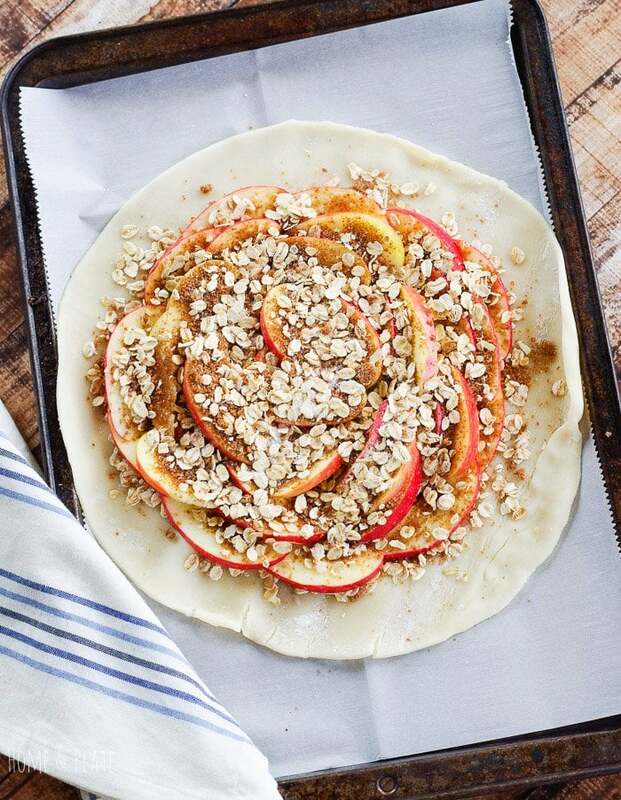 What I love about this simple galette is that it only requires a few ingredients and an oven. It’s a crostada. It’s a pie without the pan. It’s a tart. It’s a no-brainer. You can’t really mess it up. Unlike a pie, you don’t need to go overboard. Two apples is all you need. Any more and you’ll end up with soggy crust and your filling spilling everywhere. I cheat and use a store purchased pie crust. Puff pastry also works well. The key is to slice the apples into thin wedges and arrange them in a spiral shape. We love apple crisp in this house so I mix together a simple crumble to go on top. This easy dessert is also ideal for holiday gatherings. 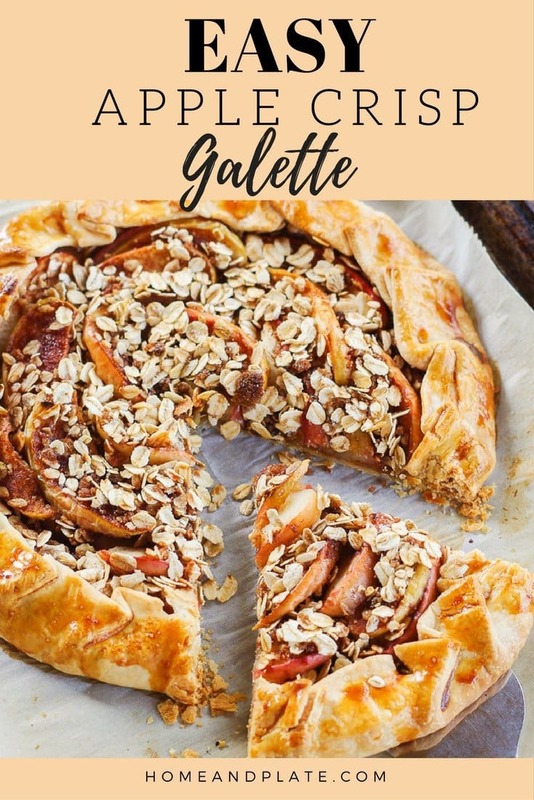 My kids always request this galette for Thanksgiving. After all not everybody loves pumpkin pie. Now this guy, Indy… He loves everything. And he is always willing to help out during my photo shoots. A scoop of vanilla ice cream and a drizzle of salted caramel and dessert is served. Someone is patiently waiting for his plate. 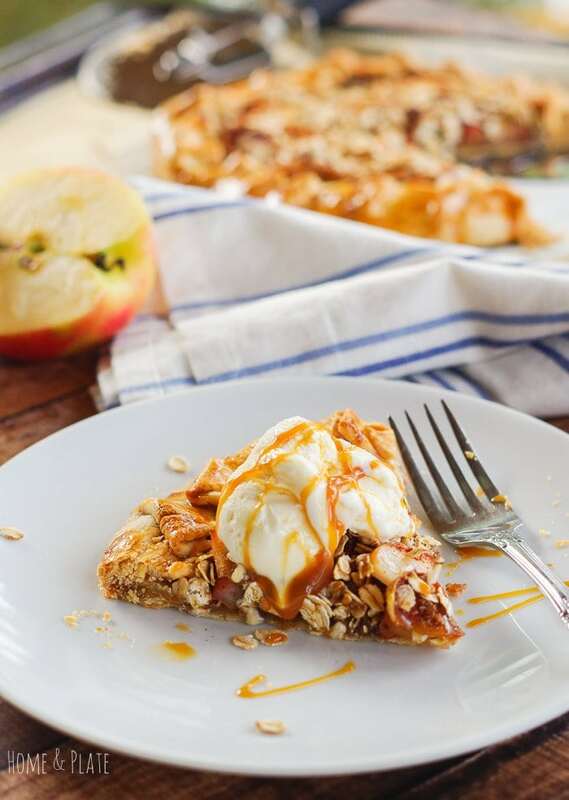 WANT TO TRY THIS EASY APPLE CRISP GALETTE? 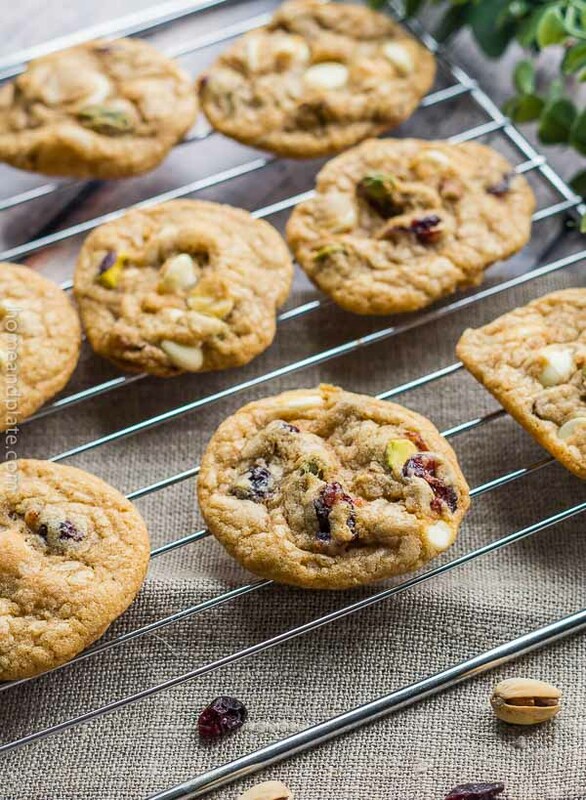 PIN IT TO YOUR DESSERT OR FALL BOARD TO SAVE FOR LATER! Preheat the oven to 350°F. Prepare a baking sheet with a piece of parchment paper. Lay out the pie crust on top of the parchment paper. Mix together the brown sugar, cinnamon and oatmeal. Sprinkle 1/3 of the mixture onto the piecrust and layer the apple slices on top overlapping slightly. Sprinkle the remaining oatmeal mixture on top of the apples. 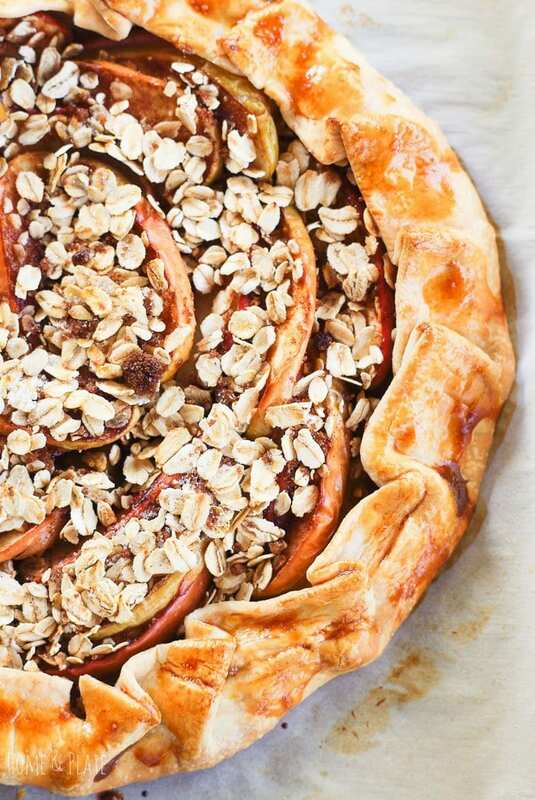 Fold up the edges of the piecrust over the apples overlapping the crust as you go and leaving the center exposed. Brush the beaten egg wash on the crust and bake the galette for 20 minutes or until the edges become golden brown. Remove the galette from the oven and allow it to cool. Drizzle with salted caramel sauce and top with ice cream. 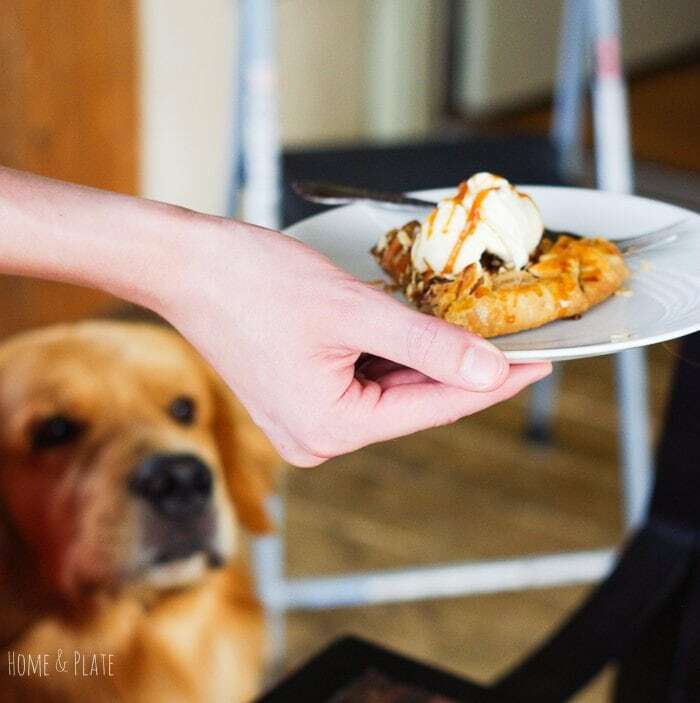 Oh your galette looks amazing, I love your step-by-step photos and Indy carefully looking on? That made me laugh, it reminds me of my house and about half my photos! 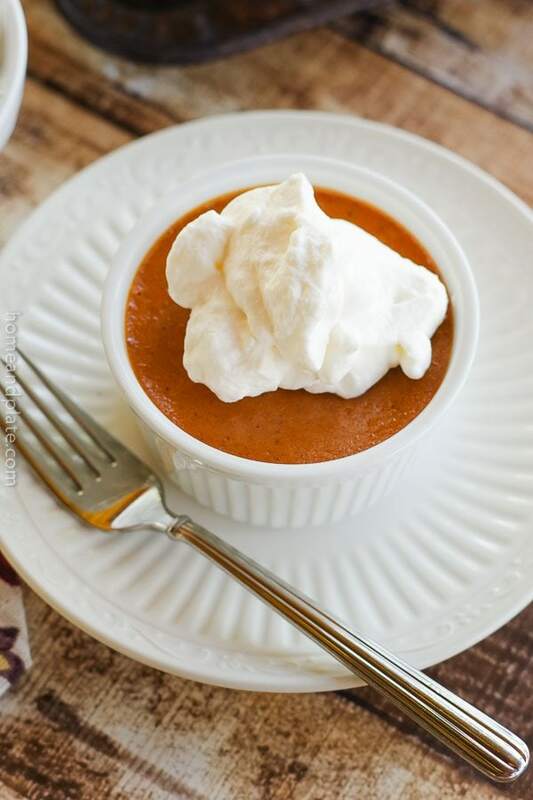 😀 With this recipe I’m now ready for fall, thank you! I’m with you – the orchard is my favorite place in the fall. 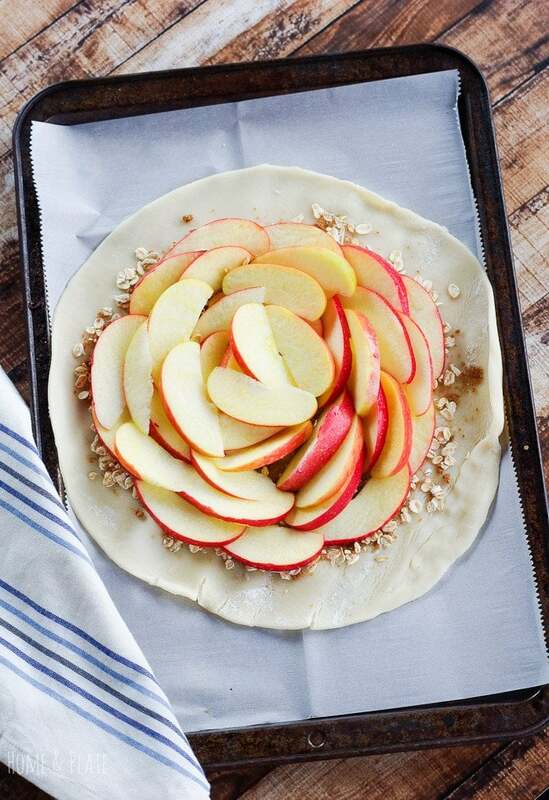 This galette is so beautiful! And I love how easy it is. 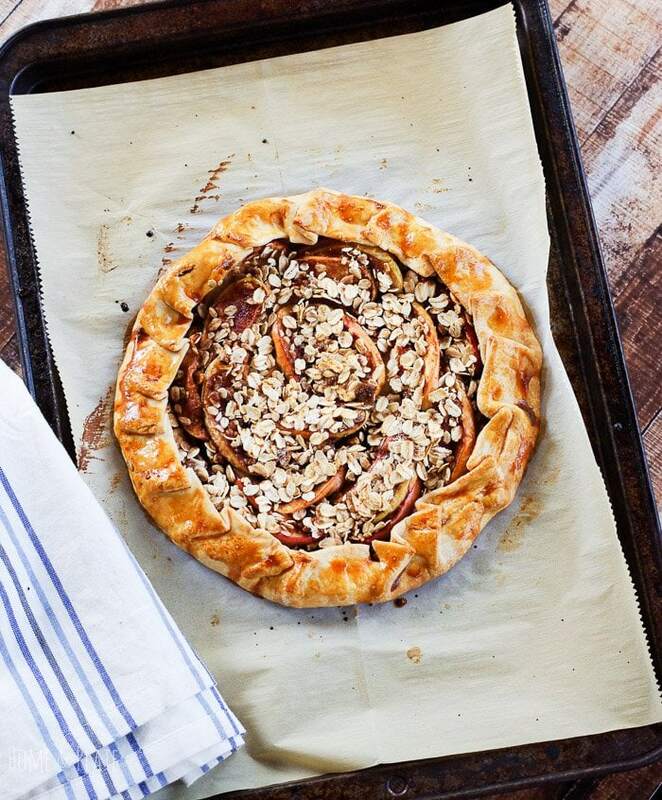 I totally always cheat and use store-bought pie crust too, so this is right up my alley! 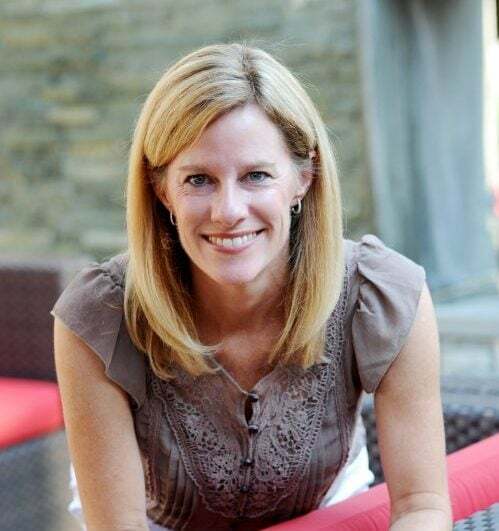 Jenn….I cheat too. My time is just too precious. 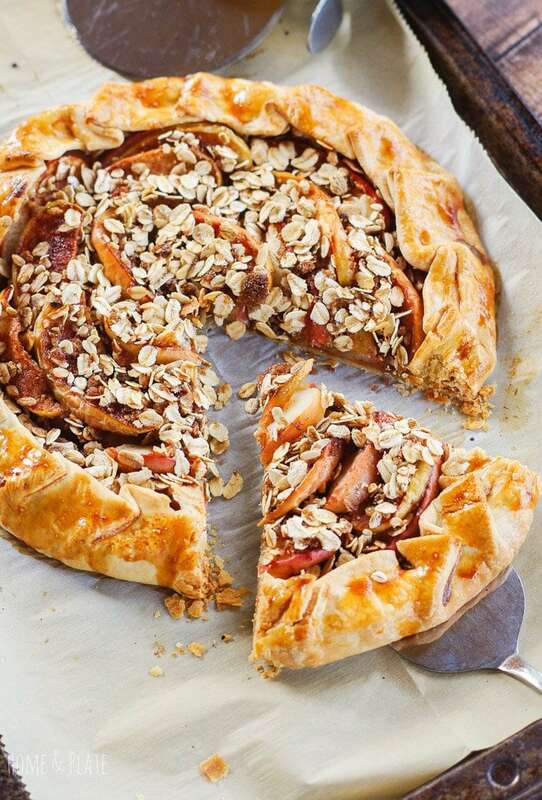 The apples this time of year are to sweet and delish and this galette will disappear quickly. How absolutely gorgeous. 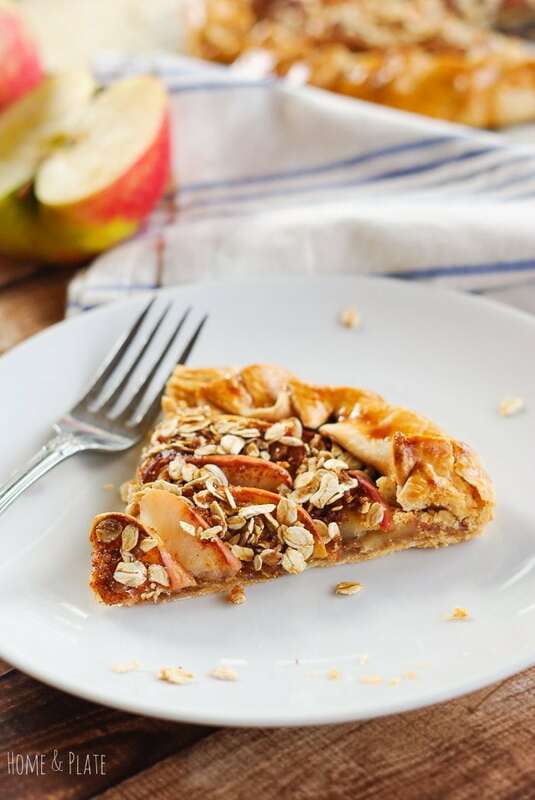 I’ll take a slice of that apple galette any day! I have to switch out the egg but it will work. Thanks! Thanks Ginny…absolutely leave out the egg…that is just for a pretty crust. As long as it tastes delish right? I have always wanted to try a galette. I am not a very neat baker, so it seems like the perfect thing for me.